Today brings us the final chapter of The Asymptote’s Tail, book one of the Infinite Limits series. I hope you’ve enjoyed everything so far and that you aren’t disappointed by this conclusion. If not, please do think about picking up a copy from Amazon to show your support for my future works. And if you can’t wait to hear what happens in book two, don’t worry, I’m hard at work editing it now so it should be published within the next month or two at the latest. Beyond that, my latest novella (Murder in “Utopia,,) is up for sale, too, and it will be released tomorrow, October 4th, for only $2. So think about picking up a copy of that while you’re at it. That’s enough advertising for this morning. Thanks again for reading this far. I hope you’ve enjoyed it, and I hope you’ll join us for future installments in Infinite Limits and beyond. Have a great weekend. The speech went well. The amplifiers deafened the owners and made them shut up for a little while, so she had that going for her. Which was nice. But there was also the obstacle she didn’t foresee, there were always obstacles you couldn’t foresee. When she had finished her speech, she went backstage to count her fifteen minutes down as Rosalind fetched her daughter. Then the protector came from the dressing area. The Scientist hid behind some unused scenery as the protector went out to give a speech of his own and fire two shots, then a little girl came running out of nowhere to tackle him. They both disappeared back into the dressing area, then Huey came rushing backstage behind Rosalind who was carrying Haley’s lifeless body over her shoulder. Tears welled up behind the Scientist’s eyes. “Hellooo,” Rosalind said, waving a hand in front of her face. “She needs help now. We don’t have time for this.” Owners had started crowding around the stage to see what was going on, and protectors would be on their way as soon as they were sure that Lord Walker was alright. “Let’s go, then.” Rosalind lifted Haley’s body and carried her toward the closet elevator. The Scientist and Huey followed, and they were gone through the hole and back to the lab before anyone could tell the difference. “Alright, here?” Rosalind asked, laying Haley on the lab table. Rosalind picked Haley up and disappeared out into the hall. The Scientist searched frantically through the drawers to find the serum. “Is there anything I can do?” Huey asked. “Wait,” the Scientist said, grabbing what she needed. She ran out into the hall, closed the door, opened it again, and ran into the engineering room. Haley was sprawled out on the drafting table as Rosalind brushed the hair out of her face. “She doesn’t look good,” Rosalind said. “I’ll fix that,” the Scientist said, filling a syringe with serum and flicking the air bubbles out, always sure to do it, even when she was in a hurry. The Scientist watched the door close behind Rosalind. She went back to filling the syringe and tapping out any air. Satisfied, she plunged it into Haley’s thigh then set to extracting the bullet. The serum helped to push it out, and the process was easier than she expected it to be. This was a Sixer round, not a protector round. That was the first clue as to who was behind it. The bullet out, and with less effort than she expected, the Scientist only had to pull up a stool and wait for the nanobots to take effect. With such quick application, there would be virtually no damage. The tears came back to the Scientist’s eyes when Haley blinked herself awake. “Wh—Where am I?” Haley asked, groggily. “You’re safe,” the Scientist said in almost a whisper. “Where’s Lord Walker?” Haley asked, sitting up fast. “Wh—who are you?” Haley asked, frowning. “I’m…” The Scientist shook her head. She couldn’t answer that just yet. Thankfully, Haley stalled a little longer for her. “Where am I?” she asked again, looking around the room. Oof. The Scientist had given her name up when Lord Walker had taken her daughter from her. He had taken her name from her, too, and given it to her daughter instead. “I’m Dr. Haley,” she said after a long silence. “I took a bullet for him.” Haley shook her head. “I don’t know, either,” Haley said, shaking her head still. “I guess I was supposed to. Wait, where am I?” She looked around the room again. Haley shook her head and rubbed her eyes. She rolled her shoulders then put her hand on her chest. “My chest hurts,” she said. “Do I know you from somewhere?” Haley asked, squinting to get a different perspective. “Who told you that?” The Scientist frowned. “You, dear?” the Scientist asked, raising an eyebrow. “Y—You’re serious,” Haley said, shaking her head in disbelief. “I am, dear. I’ve never been more serious in my life. I’ve waited all this time to see you again and here you are.” The tears came back stronger than ever. “No.” Haley shook her head. The Scientist knew it wouldn’t be easy to convince her, but she had to keep trying. “Yes,” she said. “I invented the technology that is you. I invented you. You were the first android I ever created, and I did it right here in this room. I turned you on while you were laying on that table, and this was the first sight you ever saw. Well, except try to picture your own face instead of mine.” She smiled through her tears, though she knew it only accentuated her wrinkles and crow’s feet. “You’re…you’re my mother?” She kind of frowned as she said it. “And you’re my daughter,” the Scientist said, letting out a big sigh of relief at finally getting the message across. It took a moment for Haley to trust her own legs even. They were fine, though—thanks to the nanobots—and she followed the Scientist out to the hall. The Scientist opened the door again, and there was Huey, a little girl, and a little boy, sitting on the puffy chairs, looking out on the wilderness scene and the mountains. “What is that?” Haley asked. “Who is that?” the girl asked, getting up from her seat to stare at them. “Where’s Rosalind?” the Scientist asked. “Are you the scientist?” the girl said, tugging at the Scientist’s white coat. “In the lab, ma’am.” He bowed. “Ah. Of course. Come with me.” The Scientist pulled Haley back into the hall. “But, Mr. Douglas…” Haley said as the door closed. Rosalind stood up fast and turned around, knocking cards onto the floor. Popeye waved then set to cleaning up the mess—and making more of one in the process. “Haley,” Rosalind said, crossing to her. “You made it.” Rosalind hugged her. “And the Scientist told you?” Rosalind looked between the two of them. “You haven’t even decided to stay yet?” Rosalind said, looking at Haley in disbelief. “I—Stay?” Haley scoffed. “This is just too weird.” She stepped back from the both of them. “But you still work for Mr. Douglas,” Haley said. Haley shrugged. She looked overwhelmed. The hall door closed behind the Scientist. She sighed and wiped her eyes. Rosalind was right, she knew more than anyone what Haley was going through, and she would be the best person to help her through it. The Scientist had to accept that. She already had more than fifteen minutes with Haley, anyway. She had no room to complain. She only had room left to wait and hope that Rosalind could convince Haley to stay, hope one of her daughters could convince the other to rejoin the family. Her stomach gurgled thinking about what they were saying behind the closed door. She had to do something to get her mind off it. The door opened and Huey almost ran into her. “Oh. I’m sorry, ma’am,” he said, bowing low. “I’m not a girl,” she said, standing from a puffy chair to cross her arms and stare defiantly at the Scientist. “Yes you are,” a boy behind her said, peeling himself away from the view. “No. I’m not,” she said. “And you’re a girl,” the boy said. “Well what are you then?” the boy prodded her on. “Oh, dear.” The Scientist moved to comfort her, but she backed away. “Good.” Ansel uncrossed her arms, satisfied. “Yes, ma’am.” He looked a little scared to be talking to her. “We call him Pidgeon,” Ansel said. Richard looked at Ansel as if he needed her permission to speak. Unsure of himself still when he didn’t get it, he said, “Yeah, well…There is one thing.” He tugged at a thread on the hem of his shirt. “Go ahead, dear,” the Scientist said. “Well,” he said. “It’s just. We don’t really have a place to stay, you know. And I’m a little hungry. And…I could use a bath.” He blushed and covered the stain on the front of his pants. “And with you getting Ansel’s dad for us and all, I just thought that maybe…I don’t know—never mind. It’s stupid.” He shook his head. “Yes, ma’am,” Huey said, bowing his head. “What would you like to eat, sir?” he asked Richard. “Very well.” Huey left the room. “That’s right,” Ansel said, all business. “Tom was supposed to help me,” Ansel said. The door opened, and Richard turned with an eager face, but when it was Haley and Rosalind and not the food, he went back to staring out the window. “She’s the one I gave the information to,” Ansel said, walking over to them. “And this is my—this is Haley,” the Scientist said. “Hello, Ansel,” Haley said, curtsying. “Well, we—” Rosalind said, but Huey came in pushing a cart piled with food, trailed by Mr. Kitty in his red collar. “Food!” Richard yelled, jumping up and down around the cart as Huey pushed it in. Mr. Kitty ran out of his way and jumped onto one of the puffy chairs to lick himself. “Om—thanks—nom,” Richard said, stuffing his face with red beans, shrimp, and sausage from the cart. “Huey,” Haley said, a little awkwardly, as if she still didn’t feel comfortable calling him that. “Y—You actually work with them.” She seemed more shocked than she had when the Scientist told her that she was her mom. “I do what I can,” Huey said, tipping his hat. “And you’re my sister,” Haley said to Rosalind. “That’s what I’ve been trying to tell you,” Rosalind said with a sigh. The Scientist was, though. And that she did. She didn’t make a sound, but she couldn’t hold the torrent of tears. “I am,” she whispered. “Mom.” Haley embraced her as she cried. Rosalind laughed. The Scientist did, too, while she cried. Then everyone joined in for a chuckle. Even Mr. Kitty meowed. “And ages,” Richard added, a hunk of bread stuffed in his mouth. “And ages,” the Scientist repeated, wiping her eyes. First and foremost, I’d like to thank Sophie Kunen for being, if not the first to believe in my writing, the first to convince me she did. I still write between the leather you gave me. This one’s for you, as they all are. Next, I have to say thank you to David Garifo for keeping me sane when I first moved down to New Orleans—which happened to be at the same time I was doing the majority of the heavy lifting on this novel. David’s once-every-week-or-two visits were about the only personal interaction I got while living in that attic on Elysian Fields, so thank you, sir, for all you did, and still do, to support my writing in your unique way. And third, a special thanks goes out to Matt Maresh, the first person other than me to actually read this thing through all the way to the end. This version’s a little different than the version you read, Matt, but I don’t expect you to read it again. Save your eyes for volume two when I might need the same boost of confidence. Almost last, but certainly not least, thanks to my parents, Mom and Dad, for teaching me that I can be anything in the world I want, and my brothers, Tor Tor and Rob, for believing in me when I thought I could be everything. Thanks again, y’all. That’s a wrap for real this time. Don’t forget to leave a review on Amazon or Goodreads if you’re inclined to do that type of thing. And keep on coming back here for more news and information about the forthcoming continuation of the Infinite Limits series with book two: An Almost Tangent. Today brings us the Scientist’s second chapter, and it marks the day that two thirds of the novel are available on the website. Next week we’ll start reading the final chapters from each character’s point of view, and at the end of week seven, you’ll all get to know the conclusion of book one of the Infinite Limits series. Or you can find out sooner by purchasing the novel on Amazon. Today I’m including an illustration I did of Popeye the mechanical arm, who you might remember from the Scientist’s earlier chapter. I hope you’ve enjoyed everything so far, now go and enjoy this one too. Every day different. Every day the same. Only change is constant. Reality is contradiction. She stood in front of the printer—as she did every meal—and imagined the people who grew, reared, harvested, and collected her food, the ones who built the things to make it all possible, and those who sent it along so she could consume it. She ordered everything as raw as it came, but that meant that she had to order the sandwich she wanted fully made. Still, they were forced to do as little of her work as she could help, and soon she would be helping in a more efficient manner. It was Christmas Feast Eve, and Mr. Kitty should be on his way. “Alright, Mr. Kitty. I’m gonna get to work,” she said. Mr. Kitty went off on his way, ignoring the rest of the meat in her sandwich, and she started the macros going which would set the work schedules across all the Outlands as needed for the operation. She moved the repair bots around to fix only the holes she didn’t need and set a few to creating some holes that might come in handy in emergency situations. With everything she could do before her lunch meeting done, she went to ride the elevator to the bar and get on with her meeting. Trudy was already in the corner booth with two beers. The glasses were still frosty, and Trudy’s drink was mostly full, so she hadn’t been there long. “More than anyone in the worlds, I’d say.” Trudy smiled. “Good,” the Scientist said. “I was a little distracted, you know. The roses are red.” She smiled. “No kidding,” Trudy said, sipping her drink. “And I’m not in danger now?” Trudy said, shaking her head. The Scientist sighed and took a sip of beer. Trudy was right. She couldn’t be put in any more danger, but it would put the operation as a whole in danger if the protectors could get more information out of her. Still, Trudy deserved to know more. She had been with them for so long, and her work was so valuable, that she had a good argument for it. An argument which she never pushed too far. The Scientist promised herself that, as soon as this operation was over, she would tell Trudy everything. Well, at least she would tell her more. “Solidarity, dear,” the Scientist said, raising her glass. They took a drink in unison. “I hope you’re right, dear,” Trudy said, shaking her head. “If it’s not too late for that already. Either way, the worlds don’t seem that just to me.” She sipped her beer. “The beach,” the Scientist said. They both drank at that. “Well, I…” The Scientist sipped her beer and looked around the bar. Trudy rolled her eyes and took a big gulp of beer. Trudy laughed, spitting some beer up onto the table. “What?” The Scientist didn’t get the joke. “Fifteen minutes,” the Scientist said. “I don’t know if that’ll be long enough.” Trudy shook her head. The Scientist pulled a pouch out of her coat pocket and put it on the table. Trudy scooped it up and put it in her own pocket. “Rip, stick, press?” Trudy asked. “They are, dear,” Trudy said with a smile. “And I’ll be sure Ellie knows it, too. But what are you going to do about it?” She sipped her beer. Trudy knew what was really bothering the Scientist. She knew everything. “I’m going to help everyone, then get what I want,” the Scientist said. “Everyone?” Trudy said, raising an eyebrow. “And this is about getting everyone what they want, right?” Trudy said. “Fifteen minutes?” the Scientist said. “It’s all we can afford, dear.” Trudy smiled and winked. “I’m going to do it, Trudy,” the Scientist said. “No one does.” Trudy shook her head. “Right again,” the Scientist said. “Right again.” She sipped her beer. “I always am, dear.” Trudy smiled. “You should get my advice for everything.” She winked and finished her beer. “Oh. I know, dear,” Trudy said with a smile. “I know.” She laughed as she left, waving over her shoulder. The Scientist sipped her beer. She had some time before her next meeting. She could play a game of pool. Trudy suggested that she attend to her own desires, too. But the game would go long. She was so out of practice it would have to unless the other player ran the table. Either way, her second meeting would likely be kept waiting, and there was still so much work to get done before the Feast. No. Who was she kidding? She didn’t have time for that. Not even fifteen minutes. Did she have fifteen minutes to take what she really wanted, though? Her beer was empty, so she got another and sat back at the booth to watch the other patrons play. Her time was tomorrow if she wanted it. Just like everyone else. What was safe for them, was safe for her. If she ever wanted to see her daughter, Christmas was the time to do it. “We’re all kids compared to you.” Anne laughed. Anne looked around the bar and leaned in close. “I don’t know…” she said. “There are rumors,” she added in a whisper. “How’d you know?” Anne laughed. “But, how?” Anne said, shaking her head in disbelief. “Yes, ma’am,” Anne said, sitting up straighter in her seat. “It won’t be enough,” Anne said. The Scientist didn’t answer. She sipped her beer. “Unless we do something about it,” the Scientist said. “I can,” Anne said. She pounded her fist on the table then looked around self-consciously. Anne nodded and grabbed again for her non-existent drink. “You do what you can, Anne.” The Scientist smiled. Anne shook the Scientist’s hand one more time then went out into the world. The Scientist watched the rest of the pool game, finishing her beer in the booth. This was it. No more meetings. No more real work besides setting a few more macros before the operation was underway. Still, she did have to do that. “Is it ever?” The Scientist didn’t know if it was a question or a statement. “And there are so many of them.” The Scientist laughed. “No one tips well,” the bartender said, tapping his head with a rag. “No one wears white coats. My customers don’t pay attention because they don’t want any attention paid to them, but I do, ma’am. I own the place. I rule here. That means my rules. And you follow them well enough—no questions being one of those rules—but I needed you to know that I know there’s more to you than that. That’s all.” He went back to cleaning glasses. “I won’t even ask who they are, sir. Thank you.” She left a hefty tip and didn’t finish her beer. She knew they’d find the bar eventually. They always did. But so soon? And why did she have to learn about it just as the roses bloomed? Not that it mattered whether she knew about it now or not. There was no worrying anymore. The only thing she could do now was prepare for tomorrow. The elevator took too long to get back to her lab even though it took only half a minute. She knew it was exactly thirty seconds because she oversaw the operation of every elevator in existence. She opened the door to her office and Popeye was typing on the computer. The big metal arm turned around in surprise at the sound of her entrance. Popeye waved and gave a thumbs up, then rolled out through the hall door to do who knows what. “First things first,” she said out loud, even though Popeye had left the room. She set the last few macros and the computer went to work. She typed in the command to send Ellie’s conveyor belt to the beach for fifteen minutes, then she thought about her own wish. Fifteen minutes with her daughter. That was worth at least as much as seeing the beach or meeting a famous celebrity, wasn’t it? Or was it worth more? Did she deserve it? But who was she to say that what they wanted was worth less than what she wanted? No. Fifteen minutes of time through the holes was fifteen minutes of time through the holes, no matter where you went or what you did while you were there. That was the question, then, wasn’t it? Did she deserve the same fifteen minutes she offered the workers? a major operation. There were so many distractions she could probably come up with a couple of extra fifteen minute blocks through the holes. 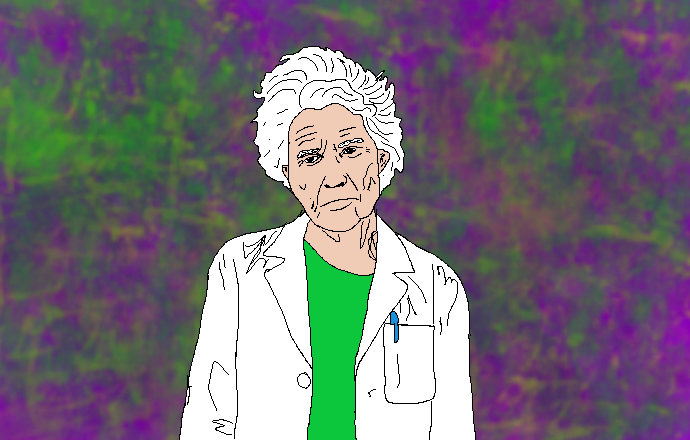 Trudy was offered time that she didn’t take, she wanted the Scientist to take it instead. She typed out one more direction for the Walker-Haley fields to follow the next day and went straight to bed, trying to go to sleep like a child on Christmas Eve. The day was long, longer than any day she could remember and she remembered a lot a lot of days. Christmas was never a thing that Fours looked forward to, but she had studied the history of the holiday and she knew the stories about how the children would react. She never understood it, though. Any Christmas she had as a child was too long ago to remember, and ever since she had discovered printer technology, anything she ever wanted was at the touch of a button. What presents could there be? But now she was about to get something a printer couldn’t give her. Well, technically it was the same technology making it possible, but it was something entirely different. The Feast didn’t start until late into the afternoon and the operation until a little way into that. She spent her time waiting by going over every bot assignment and all of the hole placement timings and disc countdowns, imaging everything that could go wrong, any actors who would take what she offered and not do what she asked. She set redundancies for those who she thought might fail, and when she was satisfied the strategy would work as best as it could, it was time for her to take her fifteen. Or maybe she was only satisfied because she had to be, because she had no more time to obsess over every possibility. Either way, control was out of her hands now. She left the computer to guide the process and went out into the hall. Mr. Kitty was there waiting for her. He meowed. The elevator doors opened, Mr. Kitty meowed, and they both walked in for her fifteen minutes. Thanks again for joining us. I hope you enjoyed it. And if you want to read the full novel without waiting another seven weeks, just click through here to purchase it on Amazon. Here comes Saturday number eight with the introduction of the last point of view character, the Scientist. We’ll start off with an illustration of her then dive straight into the chapter. Enjoy, and if you do, don’t forget to pick up a copy of the novel, through Amazon here, in order to support my future writing endeavors. Every day the same. Every day different. The only constant is change. Reality was filled with just such contradictions. She stood in front of the printer—as she did every meal—and imagined the people who grew, reared, and harvested, built the things to make possible, and sent along the food she was about to consume. She always ordered her meals as raw as they came so those people were forced to do as little of her work as possible. Her personal thrift was only a drop of water on the face of the sun, and she knew it, but it made her feel a little less responsible, a little less complicit, and it wasn’t anywhere near the end of her actions. One egg, one piece of bread, two strips of bacon. She placed the same order she placed most mornings and it took no more than seconds before each item was in her hands and ready to be prepared. She had done this so many times before that her movements were instinctual. There was no thought in cracking the eggs, cooking everything all at once, and spreading the jam on the pan-fried toast just as the bacon was crisp to perfection. She woke up, and before she knew it, it was done. Just like that. As if she hadn’t woken up until breakfast was cooked and ready even though she was the one who prepared it herself. She was sleepcooking. With the smell of bacon following her from the kitchen, she brought her breakfast back into her office to start on the day’s security checks. She set the plate in front of the keyboard and bank of monitors on the big oak desk—overlooked by a wall-sized window with a view of a functioning assembly line—and slid into the fluffy, leather chair. She hit the spacebar to wake the computer, picked up her plate, leaned back in the chair, and started on breakfast while the machine warmed up. The screen flashed “Good Morning” in pale green on a black background before it hummed away, getting down to business. She chewed her toast as the various checks were performed. First the top tier printers of Inland, those which were owned by the owners. They were the most important printers according to company protocol. Of course, being the property of the owners themselves, they were the newest model printers, and as such, the least likely to malfunction. Still, they were the “most important”, and they were to be fixed before any others. The computer went down the list marking every unit green for fully functional as expected. Then came the printers in Outland 1. Being the center of the defense of property, liberty, and life, Outland 1’s printers were on a tier with the owners’ own. A few were slightly older models in comparison, but even those were from the previous year at the earliest, and all were highly unlikely to malfunction. The computer ran through these, and there was a minor plug in one of the printer streams, but a mechanic bot was already working on clearing it out, and the bot looked to have everything under control. Then came the Walker-Haley fields. She always suggested that they run this check first, as it was the basis of the entire system and making changes here could affect the printers she had already inspected, but she wasn’t in charge, the owners were. They had the money. They owned the property. They decided that their printers, and their soldiers’ printers, were more important than their walls or her time. She had no choice but to comply, so she did. The computer went down every single Walker-Haley line, checking every square inch of field for proper wave function. There were more miles of Walker-Haley field lines to check than there were miles of roads at the height of the automobile era, and every morning she sat and watched the computer check every single one, inch by square inch. The holes came next. You couldn’t separate the worlds like that without leaving connections. What would be the point? No, that’s where the holes came in. So many of them. Transport bays, elevator ports, printers, communication portals, heat transfer—to prevent weather aberrations which plagued early attempts—repair hatches, you name it. Those and the holes that formed from the natural wear and tear of the system, holes like the one that was flashing red on the screen to her left. A video came up on her center monitor, surveillance footage from the area where the hole was. A college-aged woman in a black hoodie was talking to someone in the shadows, maybe an assembly line worker who had found a hole, they had been getting more restless in Outland 5. More than likely it was a Sixer, though, left there to rot in a sea of skyscrapers, fighting over the only strip of green. It was brilliant really how the owners handled that problem, and equally disgusting. Made all the worse by the fact that the Scientist was the one who mended the walls that propped their entire system up, by the fact that she had invented those walls without knowing how they would be used. She let them talk a minute more, finishing her breakfast and cleaning the dishes, before she called the mechanic bot to fix the hole and set the emergency lights to flashing—which sent the conversants running in opposite directions. She watched the video until the bot got there and set to work, then she switched back to the maintenance scan and leaned back in her chair. The computer started its check over again from the beginning. Exactly the inefficiency she had warned about, but money didn’t care. There was always more. Nothing had changed, so the computer skipped from Outland 1 to Outland 2 and on down the line. There were less and less printers to check as it went, but more and more of them had problems. She sent bots to those she could afford to, but it wasn’t many, and they were mostly in Outlands 3 and 4. Five would have to wait and 6 wasn’t supposed to have any printers. It was a complex job, managing which bots went where, but she had a sixth sense for the triage needs of the system, which was why they still had her doing it instead of a computer. As she set to deciding who in Outland 3 would be least likely to complain about a short delay in delivery so she could send a few bots to 5, a black cat jumped onto her lap and meowed. He meowed again and jumped onto the keyboard to lick himself. She scooped him up and brought him into the kitchen. “I know,” she said. “But I have work to do.” She scratched his head and put him on the counter, then thanked the people behind the printer for the cat food. Mr. Kitty ate it greedily as she went back into the office to work. She really didn’t have much to do but watch the mechanic bots and computer do their jobs, so she leaned back in her chair to get comfortable. It was almost serene watching them fix her creation. Until she remembered how things used to be. She used to spend all her time working with her hands and her mind, creating new inventions that the world had never experienced before, putting machinery into configurations which had never been attempted. She was herself then. Even though she still worked for Wally World Llc, she felt as if she worked for herself. If she had an idea she could follow it and see where it led her. She was free to work on the projects she thought were worth her time. Then she had made the discovery. She created the Walker-Haley fields. The Walker-Haley fields led to “printers”—a masterstroke of advertising if there ever was one. Printers led to the creation of the Outlands. But still, even with all the work it took to build and maintain such a massive and complex system, still she found time to invent, she found time to create, and she came up with her third great invention, her masterpiece, the customizable, almost-human android with full AI capabilities. And when for the third time Lord Walker ripped her creation from her hands and claimed it as his own, she vowed that she would never invent for him again. But still he needed her to maintain his system, to keep up the status quo, and she needed his printers to reproduce herself. So there she sat, building up his walls for him, biding her time until she could finally tear them all down again. She flipped the center monitor to a television station and let the repairs run on autopilot for a while. She cycled through the channels. She had access to all of them with her clearance level, and she liked to guess which Outland each show was broadcast to based on what it depicted and who was acting in it. Protector dramas were almost exclusively for Outland 1. She wondered how many different departments and cities they could plaster onto the names of the “different” shows before the people there realized that they were all the same thing. There were a few different stock analyzers—all giving mutually exclusive advice—and a few political journalists—all arguing for one of two mutually exclusive positions—obviously directed at Outland 2, but they broadcast all the way to Outland 4 and in between. Outland 4 was bombarded with documentaries and scientific programming of various levels and branches of study. Outland 3 had everything because they made everything, but she knew that they only watched the self-indulgent, talking head, who’s who in celebrity culture programming. That was the one thing that talked about what they all loved the most, themselves. Outland 5’s programming was all about the glory of toil and working hard for the common good in the hopes that you would make it big and become a middle manager. She thought that some of those shows actually carried good messages, but the creators didn’t put any effort into entertaining, just educating. Then again, they didn’t have to entertain. That’s all there was to watch in Outland 5. The Fivers didn’t know any better, so they didn’t ask for any better, and no one was about to tell them otherwise. Well, almost no one. She came out of the elevator into the sun between classic New Orleans buildings, the kind with short stoops, sweeping porches, and lots of balconies. She was surprised they were left in Outland 5 but assumed they were too structurally damaged to be worth repairing enough for transport. They were good enough for the Fivers, though. She walked down a sidewalk that was ravaged by tree roots, climbing up and down the concrete hills. This elevator exit wasn’t the closest to where here meeting was, but she had some time to kill, and she enjoyed the walk. She went through Washington Square Park, down St. Claude, to St. Roch to find the sign she was looking for. It just said “Bar” on it. Nothing else. The bar was so dark she couldn’t see until her eyes had adjusted. She took in the stale smoke and the sound of pool balls clacking before she saw anything that was going on. She went straight for the bar when she could see, ordered a beer without asking—the bartender knew what she wanted already—and went to the back corner booth to wait. There were three people at the pool table, two at darts, the bartender, and her. A song she liked came on the jukebox, and she couldn’t help but think that she’d enjoy a game of pool herself, but there wasn’t time for that now. Maybe after everything was under way. That and maybe all the worlds would be put back together in one fell swoop. She laughed out loud at herself, and no one even glanced in her direction. She laughed again because she could, and while she did, the door opened. A dirty-haired, ragged-clothed worker with dark skin walked in, her chest pushed out for everyone to see. The worker caught the Scientist’s eye and went to the bar to get a beer before sitting at the corner booth with her. They drank some more. She knew that Ellie wanted to say the right thing, and she was willing to give her the time she needed to figure out what that was. “I heard you know what’s on the other side,” Ellie decided on. “I’ll decide what I want. Thanks.” Ellie sipped her beer. “That’s fair.” The Scientist sipped hers, all part of the game. “It’s people who aren’t you,” the Scientist said, with a shrug. “Tell me something I don’t know.” Ellie scoffed. “What could I tell you about them that would satisfy you? They do less work than you do. Their work is easier, less soul crushing. They have better houses, bigger beds. Many of them own their own 3D printers, their own endless source of anything. And none of their children ever die in factory accidents. You can be sure of that.” She could tell she hit a nerve with that last one from the look on Ellie’s face. Ellie slammed her fist on the table. “Something, God dammit!” she yelled and still no one turned to look at them. “I want it all to stop, then,” Ellie said, slamming her fist on the table. Ellie nodded with a stern face. The Scientist smiled and took a sip of beer. Ellie looked surprised at the change in her demeanor and took a sip to cover it up. Ellie had to think for a second before she connected Trudy to Gertrude and nodded. There was a hint of fear in her eyes, as if she thought she had done something wrong by giving Trudy away. Or maybe it was shame for revealing a secret. The Scientist laughed. “Oh, I’m sure you don’t. I’m sure I don’t understand what I’m saying half the time. But in time, it always reveals itself. Remember that and you’ll be just fine.” She took a big gulp of beer and finished her glass. “Let me get us a refill and we’ll talk about what you really want to talk about. After all, this is about you. Not me.” She swept off to the bar, leaving Ellie to think about what she had said while she ordered another round. When she sat back down, Ellie looked like she had something to say, so the Scientist took a sip and let her go ahead. “Did you send that woman through the conveyor belt?” she asked. Ellie took a drink of her beer. She didn’t seem to believe what the Scientist was saying. The Scientist shook her head. “I would advise against it.” The Scientist shook her head. “Whatever I could do to help you get what you want.” The Scientist shrugged. “Not a bad reason.” Ellie nodded, sipping her beer. “Nothing else?” Ellie looked suspicious. Trudy knew how to pick the smart ones. The Scientist nodded. She sipped her beer. Ellie looked into her beer and nodded. Ellie had to think some more at that point. The Scientist knew it. That was the ultimate test of a worker’s commitment to the revolution, the threat of losing their livelihood. She liked to believe that she knew exactly what was going through Ellie’s mind at that moment. Ellie would be wondering how she would eat without her job, where she would live. Once a person got fired from a pity position they never got hired by anyone ever again. By that time they were too old, not valuable enough, their model was dated. But then she would remember why it was that she had come to this meeting in the first place, what she wanted. She’d remember the day they told her that her son had been killed. How they had waited until the shift was over when the accident had happened in the morning, and all because they didn’t want to risk losing productivity. How they had given her two days off then sent her to QA to do robot’s work. Then she’d remember her son, and the days her stomach roared with hunger because she only made enough to feed him. She’d remember all the blood, sweat, tears, and love she had invested in him, that she has nothing left to lose, that she had already lost everything a long time ago. And then she’d answer, imagining all the people who could lose everything just like her, lose everything for the same reasons, lose everything to the same people, and she’d know that they’re people she could help. That’s all for chapter seven. I hope you enjoyed it. Come back next week to continue Haley’s–and the entire Infinite Limits universe’s–story, or click through here to order the full novel on Amazon. Thanks again for all your support already. Have a great weekend.